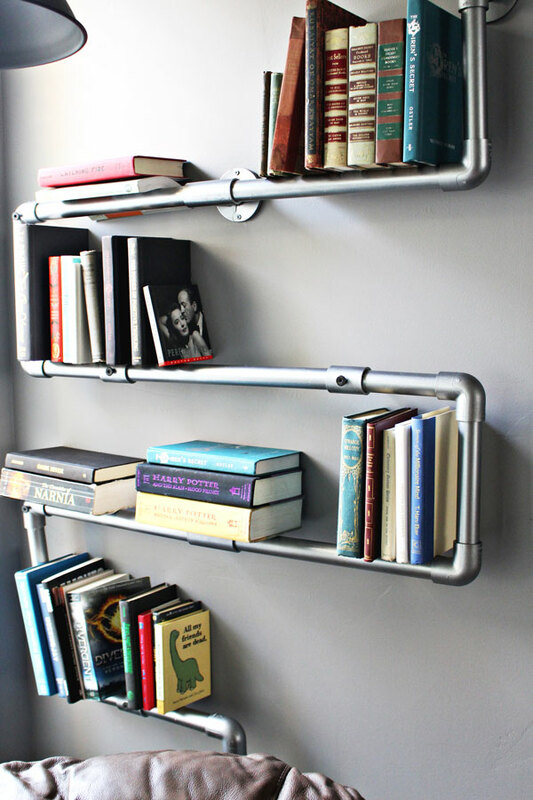 Today we are sharing some faux galvanized pipe shelves that add just the perfect amount of industrial flair to your book collection. 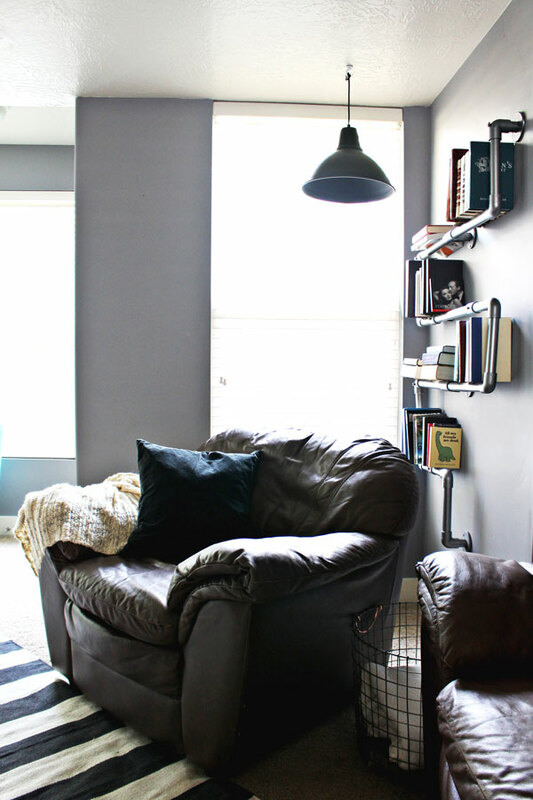 Head on over to Drifter + the Gypsy for the full how-to and step-by-step photos! In my opinion no book collection would be complete without some Harry Potter and Narnia! 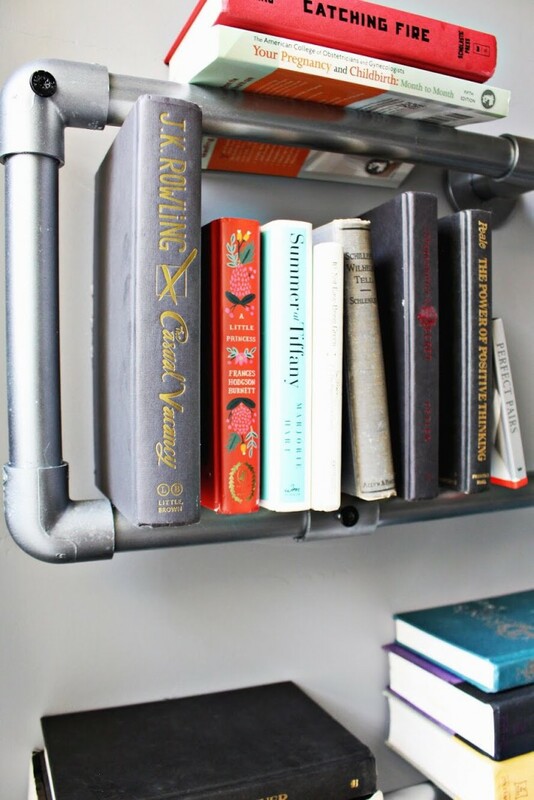 :) What are your book collection must-haves?! This looks so awesome! 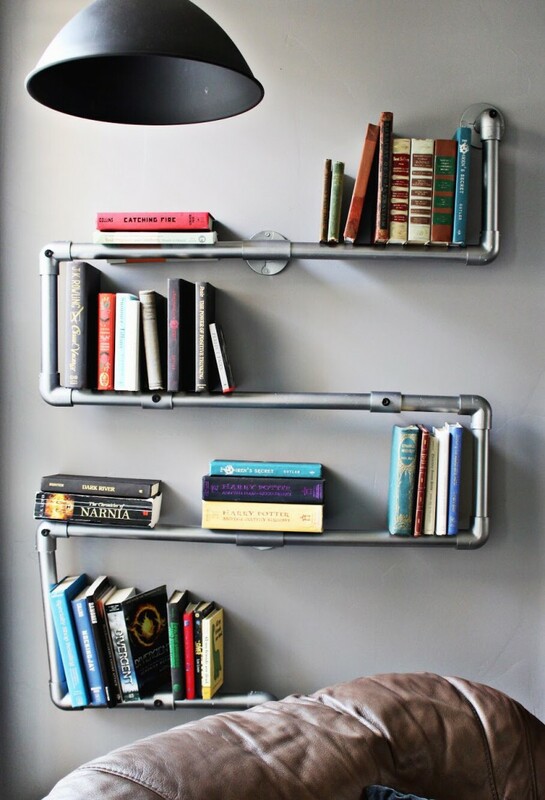 I love bookshelfs, and these are incredible!